In my book 6 & 1/2 Years on a Dunghill: Life in Specialist Disability Accommodation, I have so eloquently expressed the need for 4 key elements in the disability sector: passion, empathy, altruism, and pragmatism. This is very clearly on display by Senator Jordon Steele-John in his speech linked below. I highly encourage everyone to take some time to watch this emotional, awe-inspiring speech. I gave this speech last year in dedication to those members of my community who lost their lives due to violence, abuse and neglect. Their voices remind us why we are fighting for justice. In their names we go forward. It is such a joy for me to be asked to be the guest editor for Design for All, and I have invited a handful of incredible people to share their perspectives. First, my good friend Steffan Irugalbandara brings to the fore his beliefs concerning failure and the positive steps that may become issues from it. Currently, I have many close friends who have migrated from Sri Lanka. This brings me to an article that I coauthored where we talk about my friendships, Sri Lanka’s devastating effects upon that country from the civil war and the tsunami which still has a profound effect upon the friends who have encouraged me in this article. That being said by way of introduction, we then look more broadly at Sri Lanka and people with severe disabilities. Next is a book review from a dear and close friend of mine, Bruce Wearne. Bruce was there throughout every stage of this book and whenever I was in a situation where I was in need of help he was always there, a great friend. Bruce also follows with a brief writing on the social aspects of Friedreich’s Ataxia. Next my good friends from the Friedreich Ataxia Clinic share their expertise in their respective fields pertaining to the care of Friedreich’s Ataxia. 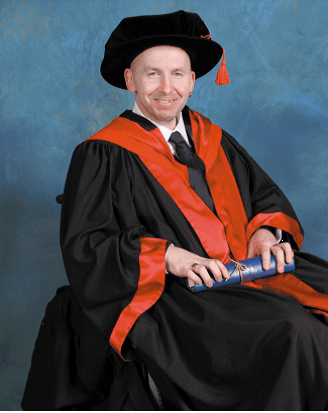 Professor Adam Vogel writes on the complexities of Friedreich’s Ataxia and speech therapy. Associate Professor Louise Corben highlights the strains on mobility that Friedreich’s Ataxia patients endure, and how they can be overcome with suitable, individualised disability equipment. Finally Professor Martin Delatycki gives background on Friedreich’s Ataxia for anyone who wishes to learn about the disability. And finally, is my book’s abstract which basically runs along the lines of the dangers of organized care becoming careless. This 6 ½ years (July 2011 – February 2018) in shared supported accommodation, has had a significant impact on the deterioration of my disability. This attains to using the phrase ‘on a dunghill’ as a description of my life in a shared supported facility. This term of expression gives readers an idea of the ugly reality; of the helplessness, immobility, failure to speak and see; and of course the power of irritation towards the delivery of life circumstances pertaining to the disability sector. This bureaucratic mess is subsequent to a lack of true empathy, which may conflict with any budget bottom line, thus enforcing the creation of social dilemmas which then draws attention away from the original problem. This is something that can also be performed by non-government authorities, as is seen in my own circumstance. In this book I propose to include edited versions of posts I have made to On Line Opinion (OLO) (www.onlineopinion.com.au), John Menadue, ProBono, The Conversation, DesignForAll, and my personal blog. I got access to the NDIS! Good news! I am finally able to transition into the NDIS! With a plan that is specifically tailored to my needs, I will finally be able to experience some choice and control in my life. It has been a long and strenuous journey to reach this outcome, and I have only been honest in all accounts; and in the midst of still attempting to defy the one size fits all policy approach to individual disabilities that prevails in this shared support accommodation facility. Standardising in this field will create the improper pursuit of human rights and result in chaos, something I have experienced a lot of in my daily life here. My NDIS plan covers a lot of areas that my ISP did not, such as assistive technology, transport, home modifications, and other core supports. I would like to especially thank Daniel Rose from DHHS, for highlighting my situation and needs to relevant parties and finding new avenues to help me, by drawing my attention to alternate living arrangements. This is a tremendous weight off my chest, as I will now be able to focus on the things that truly matter to me. This was all done with the help of my brilliant and lovely academic support worker, Christina Irugalbandara. Author petergibiliscoPosted on August 12, 2018 Tags dhhs, disability, disability advocate, disability rights, fa, social politics, ssa, stereotypesLeave a comment on I got access to the NDIS! Before I begin, I want to point out that my support provider was witness to a document I signed, regarding DHHS and my personal information. Any information about me should be not be disclosed to any parties, except on my approval. Peter on his Graduation day, 2006. 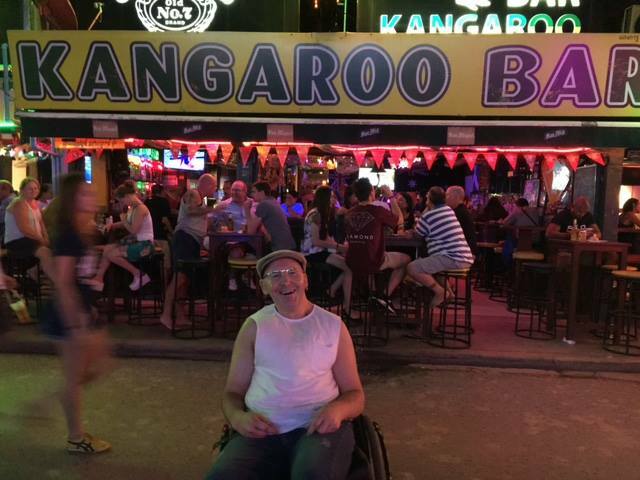 Peter outside Kangaroo Bar in Patong, Phuket, Thailand.